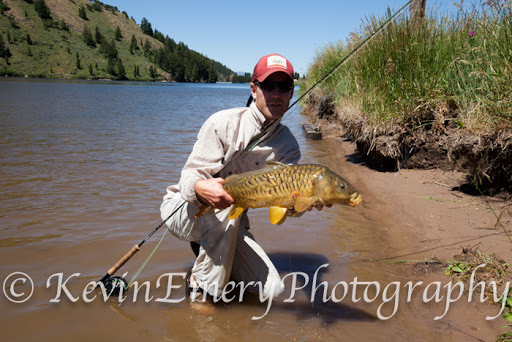 Jeff Judkins with his first taste of the Carp King. 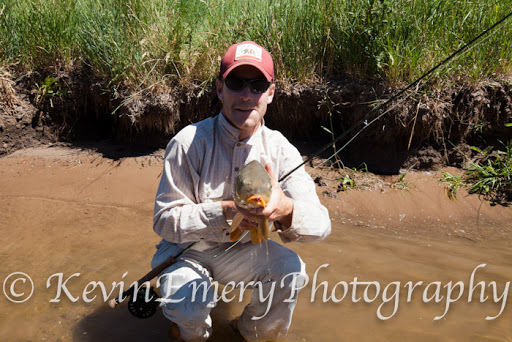 It didn't take Jeff long to put his fly fishing mastery to use of these difficult fish. Jeff was patient and precise. He made the cast and set the hook on several carp this day. Well done Amigo. Another AWESOME day of fishing with David and Jacob. This was year four of guiding the father and son duo. 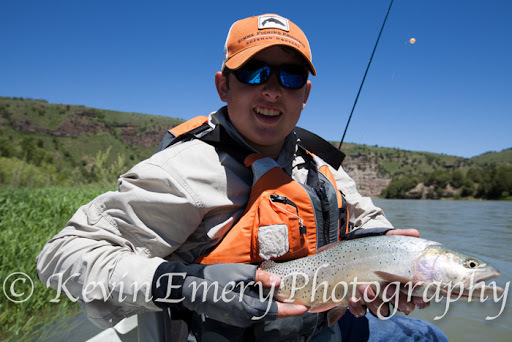 Every year is a magical one with these anglers, and this year was no different, even with the river being swollen to the gills. The South Fork is running at over 17,000 cfs, the visibility is about a foot deep and the fishes are having a hard time seeing anything that resembles food. But, our persistance paid off handsomely. 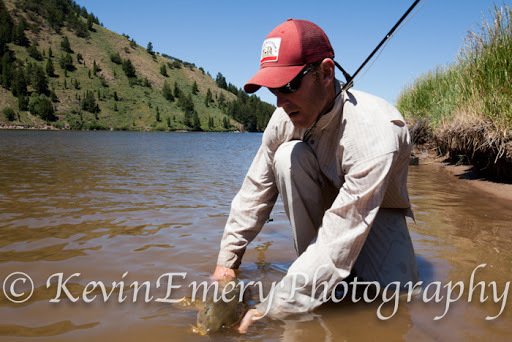 15 fish were landed and four were trout. 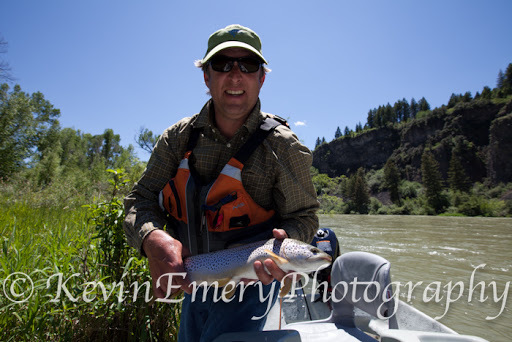 One really nice 19" Brown Trout was landed by David. Nice work guys. See you next year.